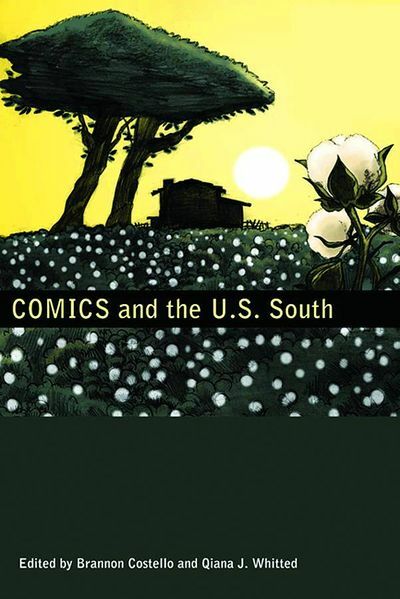 I just stumbled upon a long essay about A.D. in the new book Comics and the U.S. South, edited by Brannon Costello and Qiana J. Whitted (University Press of Mississippi, 2012). The essay, “A Re-Vision of the Record: The Demands of Reading Josh Neufeld’s A.D.: New Orleans After the Deluge,” is by Anthony Dyer Hoefer, a professor at George Mason University. And a PDF of the essay is available as a free download right here. P.S. Hoefer particularly connected to the online version of A.D. because of all the external resources herein, including the links within the panels, the message board, and the archived audio interviews with Denise, the Doctor, and Leo. In his essay, he mentioned a link or two which no longer work. In the six-plus years since A.D. debuted online I’m sure a number of links have changed or gone dead. Can I ask you readers out there to crowdsource the bad links? Just let us know which ones don’t work anymore, and we will fix or replace them. Thanks! That is very fascinating, You’re a very professional blogger. I’ve joined your feed and look forward to in quest of more of your wonderful post. Also, I have shared your website in my social networks! This is awesome. Learning alot from here and sharing my journey on social media. Thanks for sharing the information.